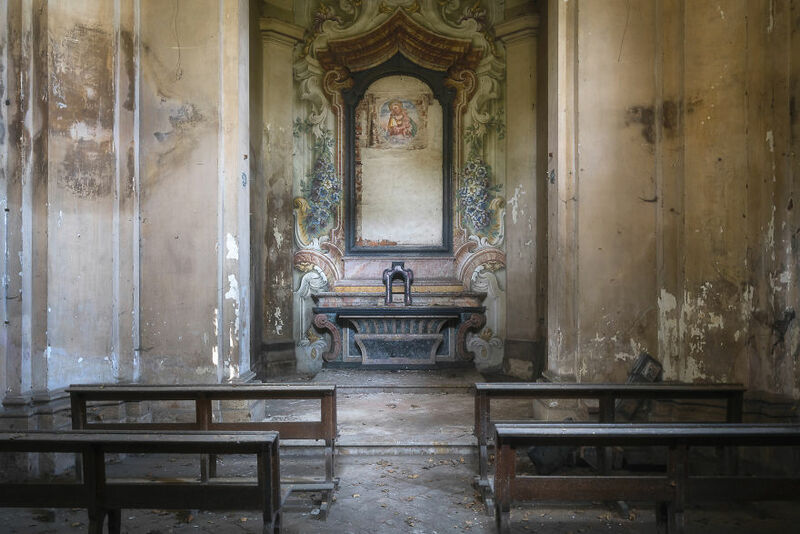 In these photo’s I’ve tried to capture the beauty in abandoned chapels and churches. Places like these can be very old carrying lots of history with them. The difference in architecture is great to see and I believe that each place tells it own story. Taking a peek in a place like this and being able to share it is great to do. 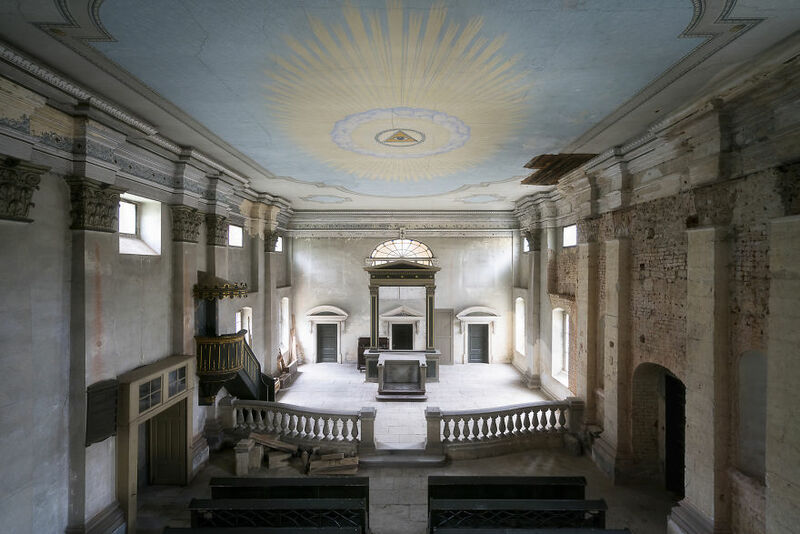 Chapels and churches are among my favourite abandoned places to visit because of the secrecy of what’s going on ‘behind’ the altar. I get to check every room and run into the most amazing things. Clothing, ancient books and tools used in services are just a few examples. Some of these places that I’ve photographed are well maintained by volunteers with a lot of respect and proudness of the building. They’ve happily shown me around. 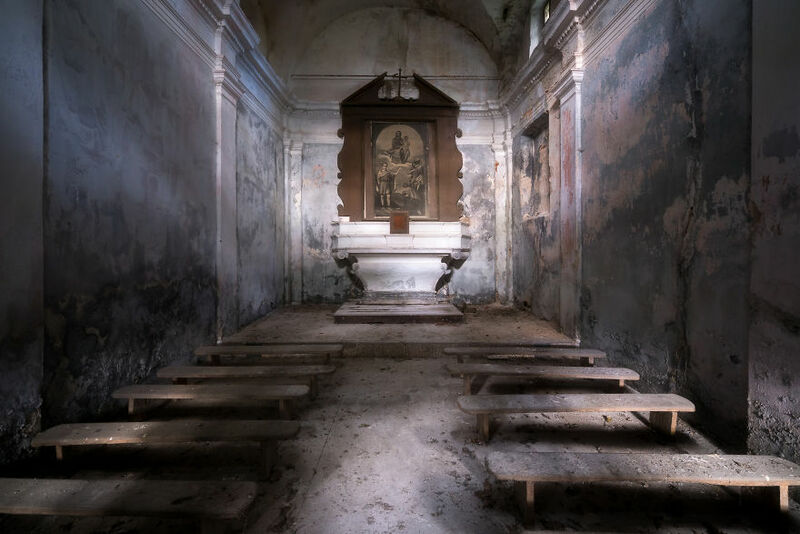 This generally only happens to me while photographing abandoned churches or chapels. 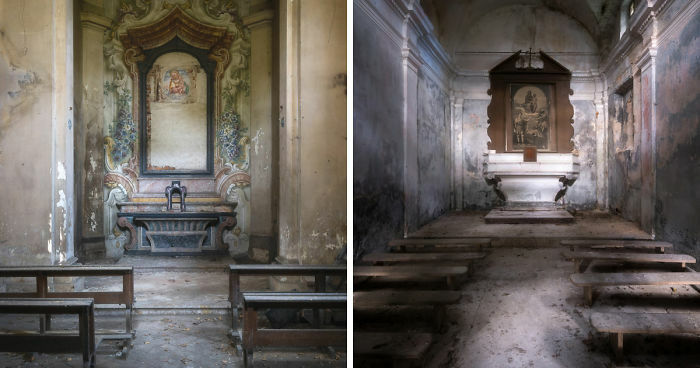 The photos have been taken in the past three years all around Europe. 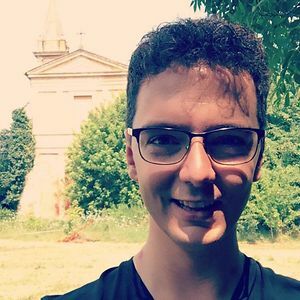 However, most of the photos have been taken in Italy due to the fact that I visit Italy a lot and Italy seems to have a church in each and every village. I find it very interesting to see how each country has its own way of constructing these religious places. I'd like to know the places (maybe next time you will tell us), and why they've been abadoned, what's the story behind them. Really good pictures! Wish I could fit that into one post! It’s so interesting. 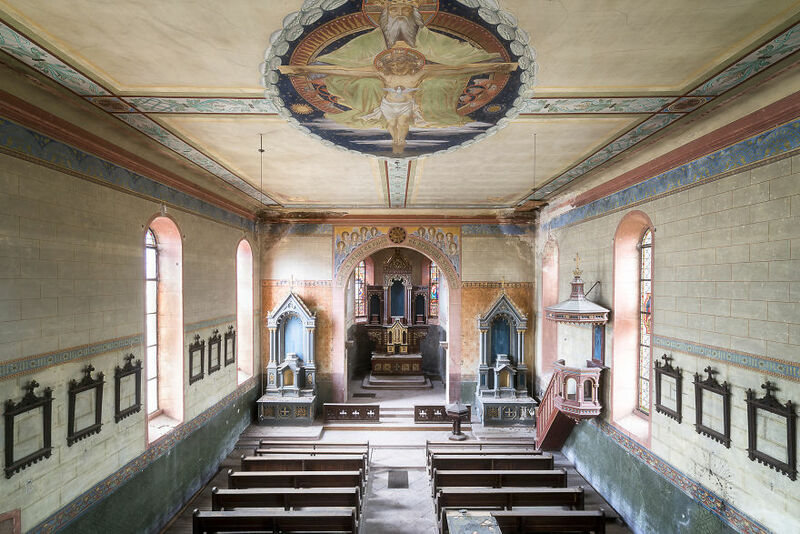 Great pictures :D I don't think these churches are completely abandoned, though. Don't think God ever left. They look so peaceful!